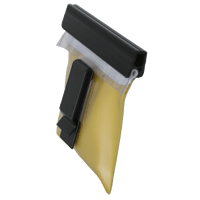 The ewa-marine BS Beltsafe is a small waterproof pouch with two sections. 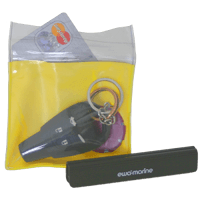 This small pouch comes with a belt clip and offers protection for your credit cards, cash or smaller electronics such as USB-sticks, SD-cards or electronic car keys. It is made for people leading an active life in the great outdoors. 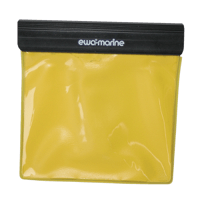 The small pouch can be used in water sports, on the beach and at winter sports. It has two internal sections: one section will hide its contents from inquisitive eyes (money, credit cards, etc.) while the other will display the pager, ID-card or club membership. 2 - The other section will display the pager, ID-card or club membership. 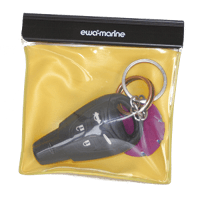 ewa-marine Beltsafe to protect car keys etc. With a "secrest" rear compartment to hide cash, credit cards, etc., While the front compartment is clear and can be used for picture ID etc.